It could be as few as six under changes proposed today by the Minister for the Environment today. THE NUMBER OF TDs in the next Dáil could be cut by as much as 13 and as few as six under the Electoral Amendment Bill that has been published by the Minister for Environment Phil Hogan today. The Constituency Commission has been set up by Hogan, whose portfolio includes local government, following the publication of the new census figures which showed a population in Ireland of 4,581,269. Based on this number the national average population per TD is 27,598, therefore the commission will be required to recommend Dáil constituencies based on a number of TDs not less than 152 and not more than 160. With 152 TDs not seen as feasible, the commission will be looking to reduce the number of TDs to between 153 and 160. 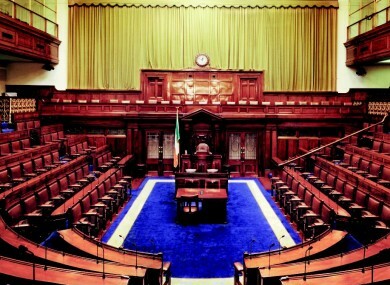 The current legislation states that the total number of Dáil members will be between 164 and not more than 168. The Electoral Amendment Bill also states that each constituency will return between 3,4 and 5 members. The bill also states that breaching of county boundaries shall be avoided as far as practicable and that each constituency shall be composed of contiguous areas. The commission, which will be chaired by a judge from the Supreme or High Court, will report its recommendations within three months of publication of the final census results. These are due in April 2012. The Electoral Amendment Bill also provides for the introduction of a six month time limit on the holding of by-elections to fill Dáil vacancies. The spending limits for presidential elections will also be reduced from €1.3 million to €750,000 and it provides for a reduction in the amount that can be reimbursed from the exchequer to eligible candidates, from €260,000 to €200,000. These new limits will be in place for the presidential election later this year. Email “Maximum of 13 TDs can be cut from next Dáil”. Feedback on “Maximum of 13 TDs can be cut from next Dáil”.